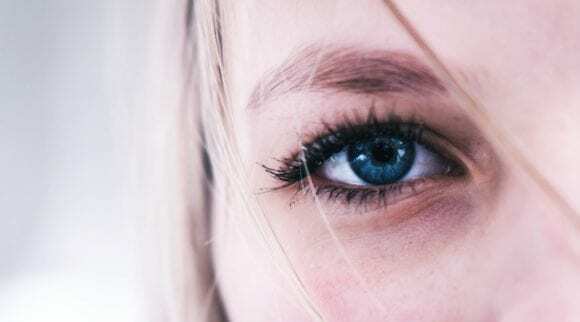 Have you ever heard of anisocoria? Anisocoria shows itself when a person has one pupil that is bigger than the other. Anisocoria is more common than you might think. This article will discuss other aspects of anisocoria besides having pupils of different sizes. When should you be concerned? When should you visit the doctor? How do you treat anisocoria? Read on to find out the answers to these questions. There are many people with mild cases of anisocoria. These mild cases go by several different names. It can be referred to as simple anisocoria or benign anisocoria. In simple anisocoria, the difference between pupils is usually measured at one millimeter. Some research has shown that approximately 20 percent of the population experiences simple anisocoria. Oddly enough, simple anisocoria can come and go throughout the day. 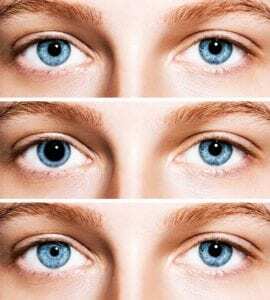 The existence of simple anisocoria does not seem to be influenced by gender, age, eye color, or time of day. Simple anisocoria does not affect your vision or eye health. There is no treatment needed for this type of anisocoria. In fact, you may not even notice if you have simple anisocoria since the difference between pupil sizes is extremely minimal. If you notice that your pupils are a slightly different size, it is a good idea to go to the doctor. It is probably not necessary to go to the emergency room in such a situation unless you have other symptoms. If you notice a distinct difference in the sizes of your pupils, you have significant anisocoria. Although a wide variety of reasons can cause anisocoria, some causes of anisocoria are more serious than others. When a person has significant anisocoria, the difference between his or her pupil measures more than one millimeter. There are many possible causes of anisocoria. Try not to diagnose yourself based on what you read online. Some of the causes of anisocoria can be life-threatening. If you notice a significant difference in your pupils’ sizes, seek medical attention immediately. Significant anisocoria can be caused by eye trauma. The late David Bowie’s anisocoria was caused by a fight he had as a teenager. Bowie was hit in the eye, and this trauma caused one pupil to be permanently dilated. A foreign object in your eye can also cause anisocoria. Using safety glasses may prevent this type of eye trauma. Read more on eye safety later in this article. A concussion, or brain injury, can cause anisocoria. Always seek medical care if you think you have a concussion. Don’t try to sleep off the symptoms of a concussion. If your baby displays anisocoria, he or she could be a victim of shaken baby syndrome. Seek medical attention immediately for your baby if you notice a big difference in your baby’s pupil size. 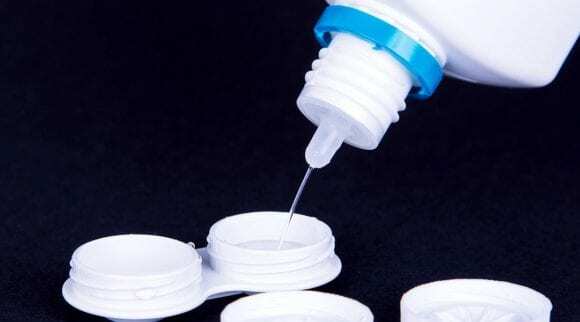 Some eye drops that are prescribed to treat glaucoma may cause one pupil to become smaller than the other pupil. The medicated eye usually looks smaller than the non-medicated eye. Some of the medications that cause anisocoria have to come in contact with the eye, while others do not. A few of the medications and drugs that have this effect include scopolamine, an anticholinergic agent and pilocarpine, the drug that treats glaucoma (in some cases). The following eye drops can cause anisocoria as well: cycloplegic and mydriatic drops, clonidine, and apraclonidine. Cocaine and the drugs in animal flea collars or sprays can also cause anisocoria. When the iris of the eye becomes inflamed, this inflammation may make one pupil smaller than the other. This condition is usually painful as well. Anisocoria can occur in this instance when the brain and spinal cord membranes become inflamed. This is also known as meningitis. Other symptoms of meningitis include fever, nausea, headache, and sensitivity to light. Anisocoria can be caused by abnormalities of the iris, which are caused by chromosomal disorders. One does not develop these issues later in life. Anisocoria that is caused by neurological disorders can be further broken down into sub-categories. Damaged nerves in the brain or spinal cord can cause significant anisocoria. This particular type of damage is called Horner’s syndrome, and it can be accompanied with drooping eyelids or double vision. Third cranial nerve palsy can cause one’s pupils to dilate unevenly. This is caused when there is pressure on one of the nerves that control your eye’s movements. An aneurysm or tumor can cause this palsy. Significant anisocoria can also be caused by other brain disorders due to strokes or hemorrhages. A rare neurological disorder that causes pupil abnormalities goes by many names. It can be called Adie’s pupil, Adie’s syndrome, Adie’s tonic pupil, tonic pupil syndrome, Holmes-Adie Syndrome, or Papillotonic Pseudorabies. 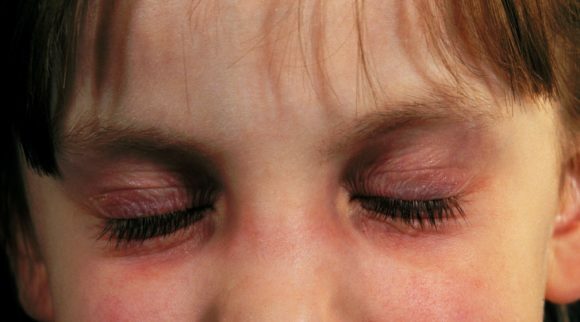 If you have Adie’s syndrome, one of your pupils does not react to light, or there is a delayed dilation to light. This syndrome also may be accompanied by a headache, pain, blurry vision, and emotional fluctuations. Adie’s syndrome does not cause severe issues. One of the lesser-known signs of hypoglycemia is anisocoria. Other symptoms of low blood sugar include fatigue, shakiness, anxiety, sweating, hunger, irritability, and pale skin. Although not common, certain infections can cause significant anisocoria. Coloboma occurs when your eye doesn’t form normally before you are born. Even though coloboma affects the iris, rather than the pupil, the condition makes the pupil look longer than it should be. Since the pupil looks longer, a person with coloboma looks like he or she also has anisocoria. Tumors on the pituitary gland, which is the gland that makes hormones, can cause your pupils to alter in size. Tumors (neuroblastomas) in the brainstem, hypothalamus, upper spinal cord, neck, eye, abdomen, or chest cavity can cause anisocoria. Even if a tumor is benign, or noncancerous, one can still experience anisocoria. If a patient’s anisocoria is a symptom of syphilis, the condition is called Argyll Robertson pupil. Syphilis is a sexually transmitted disease. Horner’s syndrome affects the nerves around your eyes and could cause one pupil to be a different size than the other. Although rare, some people are born with this syndrome, while others develop it later in life. Besides anisocoria, other symptoms of Horner’s syndrome include the drooping of the upper eyelid (called ptosis) and the lack of ability to sweat on the face (called anhidrosis). Horner’s syndrome may also show signs in the form of the eyeball sinking into the face. 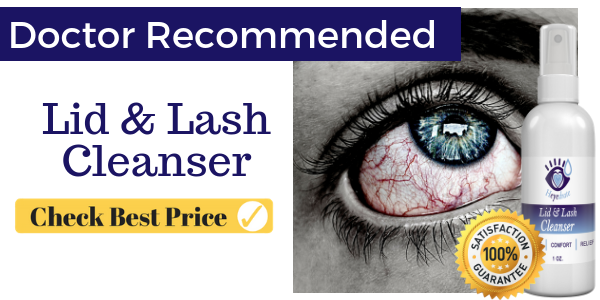 Patients affected by this syndrome may not be able to close or open the eyelid completely. He or she may also suffer from headaches, pain, and the flushing of the face. Those who are born with Horner’s syndrome may lack pigmentation of the iris. If a person isn’t born with Horner’s syndrome, there are other issues that could have caused it. These include a stroke in the brainstem, an injury of the carotid artery, and trauma involving the neck, upper spinal cord, or chest. A disease of the sympathetic nerves could also cause it. The sympathetic nerves start in the hypothalamus and run near the carotid artery. Doctors Have Their Work Cut Out for Them. It is no wonder that it takes so many years of training to become a doctor. When a patient goes to the doctor because his or her pupils do not match in size, there can literally be a dozen different causes of it. Determining the root cause of anisocoria can be very difficult. To make matters more complicated, sometimes the anisocoria needs no treatment, and sometimes it is a symptom of a life-threatening issue. 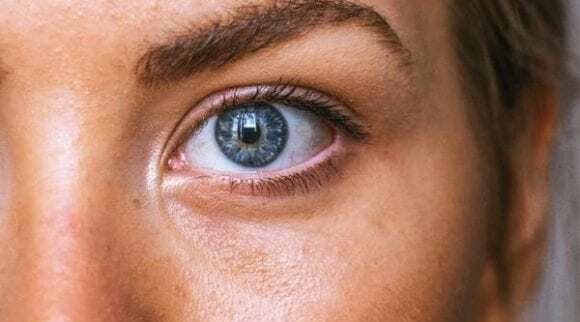 What Happens When You Go to the Doctor with Anisocoria? To determine what the cause of the patient’s anisocoria might be, the doctor will ask a series of questions and do a variety of tests. First, the doctor will ask how long the anisocoria has been present. The doctor will determine if the symptoms are intermittent or persistent. The doctor will then ask if there has been any trauma to the head or eyes. The doctor will ask about the patient’s history. He or she will ask about congenital disabilities or chromosomal abnormalities and will ask about surgeries or any recent illnesses. 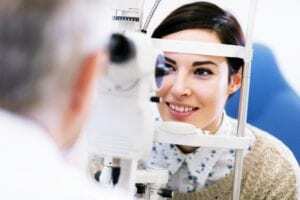 The doctor will ask the patient about any vision changes that the patient may have noticed. These changes can include increased sensitivity to light, pain, or trouble seeing. The doctor will ask about other symptoms the patient may be experiencing. If the anisocoria is accompanied with a droopy eyelid, cough, chest pain, or shortness of breath, the doctor may associate the anisocoria with Horner syndrome. 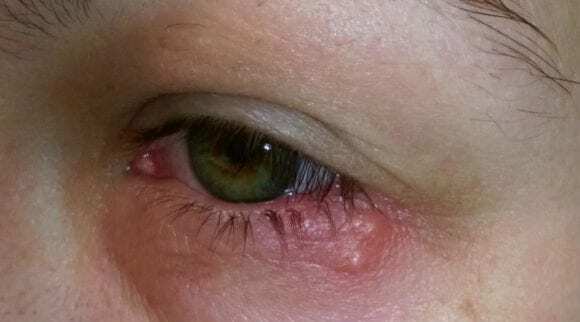 If the patient has genital sores, unusual lymph nodes, rashes, or fevers, the doctor may connect the anisocoria with syphilis. If the patient has headaches or other neurological symptoms, the doctor may associate the anisocoria with either Horner syndrome or third cranial nerve palsy. The doctor will also ask about other eye disorders, surgeries, or exposure to drugs. The doctor will examine the pupils’ sizes in light and dark rooms to check the response of the pupils to light. The doctor will look at how the eyes move as the patient’s focus changes from near objects to far-away objects. The doctor will look at the eye with some magnification to determine if there is any structural abnormality. The doctor will decide if there is any problem with the eyelid. The doctor may ask to look at a previous photograph of the patient to determine whether anisocoria was present previously in the patient or not. If the differences in the pupils’ sizes are more significant in the dark, this may be a sign of Horner syndrome. During this type of testing, the smaller pupil is abnormal. If there is not a difference in pupil size from the dark to the light, this may be a sign of simple anisocoria. Simple anisocoria may not require additional treatment, and your exam may be over. If the difference in pupil sizes is more significant in light, the larger pupil is the one that is abnormal. If this is the case, and the eyelids are affected, a third cranial nerve palsy is likely to be the cause. This is especially true if the eye’s movements are impaired as well. 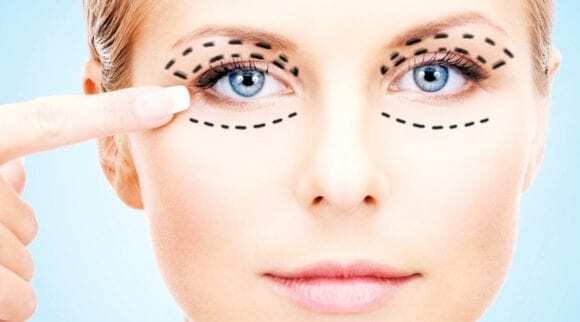 If the difference in pupil sizes is more significant in light, but there doesn’t seem to be any other problems with the eyelid or movement of the eye, the doctor may put in an eye drop causing the pupil to constrict. If the large pupil constricts, the patient may have Adie tonic pupil. If the large pupil does not constrict, the cause of the anisocoria may be drugs or trauma to the eye. The doctor may order an MRI or CT of the brain or a chest CT. The doctor may order a complete blood count or an x-ray. The doctor may recommend that the patient have a thorough eye exam. There are so many reasons why your pupils may differ in size, that it is almost impossible to list the other symptoms you may experience at the same time as anisocoria. You may have blurred or double vision. You could lose your sight as well. You could have a headache, fever, and nausea. You could also have a stiff neck. By itself, usually anisocoria does not need to be treated. It does not often affect your eyesight or eye health. If you suffer from significant anisocoria, you will need to be treated for the underlying condition that causes it. The iris is the “colored” part of the eye. 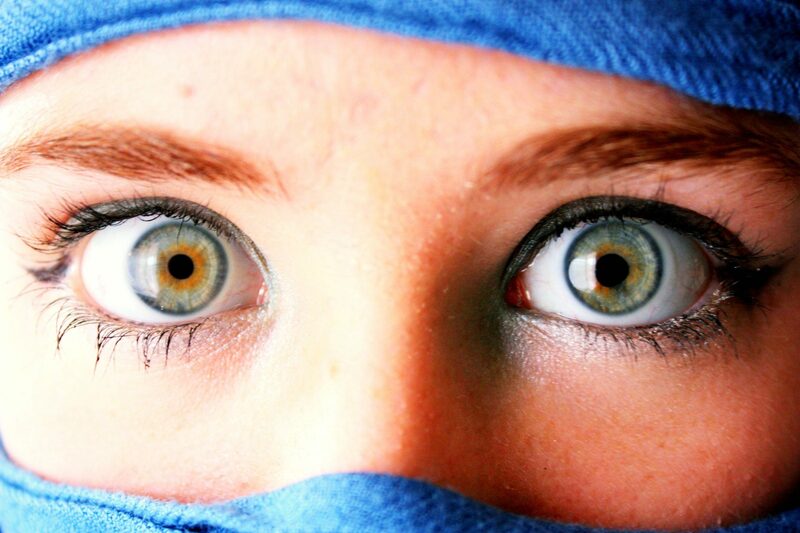 When someone says they have brown or green eyes, they really mean that they have a brown or green iris. The pupil is the opening that lies at the center of the iris, which allows light to enter the eye. The pupil and the iris work together to determine how much light enters the eye. One of the muscles of the iris makes the pupil larger, and one makes it smaller. When there isn’t much outside light, the pupil opens, or dilates, so more light can reach the retina. In bright conditions, the iris’ muscles constrict the size of the pupil so that less light can enter the eye. Pupils typically look round and black. A person’s pupil size changes as they age. Children tend to have larger pupils, and senior citizens have smaller pupils. The average sized pupil ranges from two to four millimeters in bright light to four to eight millimeters in the dark. Pupils also get smaller when a person looks at an object closely. Since there are such a wide variety of causes of anisocoria, it is difficult to list just a few ways to prevent it. One easy method to prevent anisocoria is to decrease the likelihood of trauma. Wear your seatbelt in the car. Wear a helmet while playing sports or driving ATVs or motorcycles. Another easy way to prevent anisocoria is to keep your eyes healthy and safe. 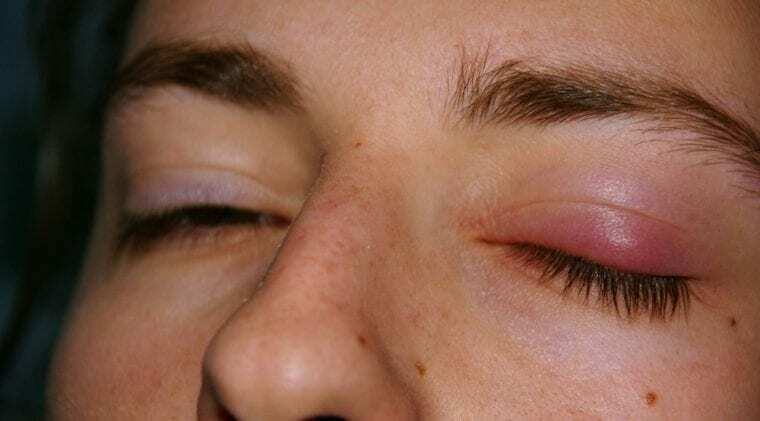 Eye trauma can happen quickly, but some of the time, injuries to the eye can be prevented. Here are some tips to keep your eyes safe. Wear goggles or shields any time you are doing a project during in which you could be exposed to flying particles or dust. 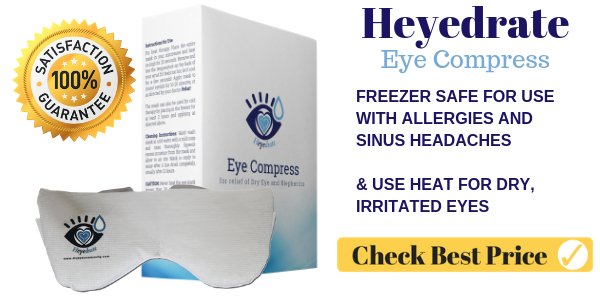 Your eyes may be harmed when you are completing do-it-yourself projects at home or while doing yard work. Since completing home remodeling projects and yard work can damage your eyes, it is a good idea to hire others to do this work for you. Right? At least that’s what I’m telling myself. Always wear goggles when using household chemicals and lawn chemicals. Keep an eye on your children as they play with potentially harmful toys, such as pellet guns, BB guns, or bows and arrows. Not only should the child wear eye protection while using such products, but you should as well. Wear protective eyewear during sports. Sunglasses are not the same as protective eyewear. Being hit in the eye while wearing sunglasses may cause more harm than having nothing on your eyes at all. Be careful when opening a champagne bottle. Point the bottle away from others while opening it. Fireworks cause injuries to the eyes every year. Be careful with every type of firework. Better yet, you may even consider leaving the fireworks to the professionals. What else Can You Do to Maintain Healthy Eyes? If you need corrective lenses, you probably are already vigilant in getting a regular eye exam. If you are lucky enough to have perfect vision, you may feel you don’t need to go to the eye doctor. This is not true. 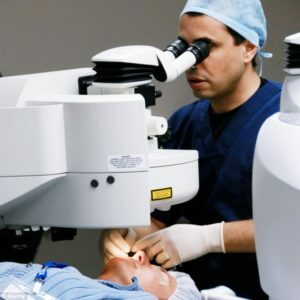 Eye doctors also check for eye diseases, and they can also tell if you have signs of other health problems by looking at the health of your eyes. Eye doctors can look at your eyes and determine if you have Grave’s disease or an overactive thyroid. Your eyes may indicate if you have high cholesterol, lipids, or triglyceride levels. Your eye doctor can tell if you routinely have high blood pressure by looking at your retina. The tiny blood vessels in the eye may twist when your blood pressure is too high. Of course, anisocoria is also a sign of myriad other diseases or conditions. Yes, smoking is bad for your health, but did you know that smoking is especially dangerous for your eye health? People who smoke are more than twice as likely than their non-smoking peers to have cataracts form on their eyes. Smokers are three times as likely to experience macular degeneration as well. Those with macular degeneration have blind spots, and have the potential to lose a ton of their vision. Smokers often experience increased inflammation of the eye. Inflammation can cause cataracts, glaucoma, and retinal detachments. Smoking doubles a person’s risk of developing diabetes, which affects the eyes adversely. Besides experiencing the discomfort associated with a terrible disease, smoking may make your eyes itchy, red, and uncomfortable. 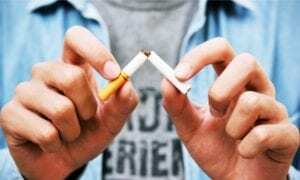 Lung cancer and itchy eyes are both good reasons to stop smoking. Yes, wearing sunglasses outside on a bright day may make you more comfortable because it will keep you from squinting, but did you know that wearing the right type of sunglasses can protect your eyes from UV rays? 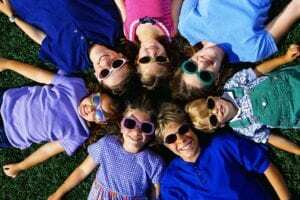 UV rays can cause cataracts and cancer. Larger-lensed sunglasses work better than smaller-lensed versions. Large lenses keep UV rays from entering your eyes because they block more of the eye. For extra protection against UV rays, wear a wide-brimmed hat as well. Purchase sunglasses that block 100 percent of UVA and UVB rays. This may be called UV 400. You should also make sure your sunglasses are polarized. Polarized sunglasses cut down on the amount of glare that will tire your eyes. 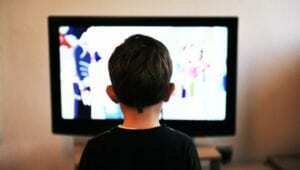 Yes, it is difficult to do, but it is essential for our eye health to limit our screen time. Since most people use computers or phones for work, communication, and entertainment, restricting yourself of the time staring at a screen is hard. Since it is not easy to limit our screen time we get each day, follow the 20/20/20 rule. Every twenty minutes that you are looking at a screen, take a twenty-second break and stare at something twenty feet away. Another way to give your eyes a break is to close your eyes for twenty seconds every twenty minutes. Only do this if you can close your eyes without immediately falling asleep. Or maybe you should do this even if you fall asleep. You probably need more rest anyway. Blinking is our body’s way of naturally refreshing the eyes. When we stare at screens, we tend to blink less. Remind yourself to blink more often to keep your eyes healthy. It is common for people to watch TV or use their computers in a dark room. This is hard on the eyes. Try to have another lamp on somewhere in the room while you look at a screen. The lamp should not cause a glare on the screen. Another way to keep your eyes healthy is to eat proper food. What food is right for your eyes? Probably the same food that is good for the rest of your body. Vitamin A is essential for eye health. You can’t have healthy eyes without Vitamin A. Vitamin A helps protect the cornea or the surface of your eye. Did you know that Vitamin A can come from animal and plant sources? Retinal comes from liver, whole milk, and cheese. The plant-based version of Vitamin A is called carotenoids. With such a name, it is not surprising that you can receive Vitamin A from carrots. It also can be found in sweet potatoes, spinach, and cantaloupes. 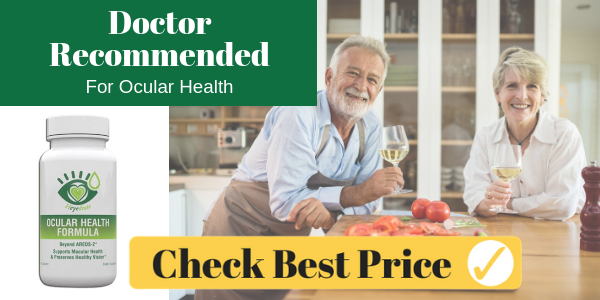 Vitamin E is also needed to maintain good eye health. Vitamin E is found in nuts, seeds, salmon, avocados, and leafy green vegetables. Vitamin E is an antioxidant that protects eye cells from free radicals or unstable atoms that damage your body’s cells. Getting your daily recommended amount of Vitamin C is vital for your eye health and reduces the likelihood of cataracts. You can get Vitamin C from citrus fruits, bell peppers, broccoli, and kale. Of course, kale is on the list of foods that are good for your eye’s health. Why, for once, couldn’t sugar cookies be on one of these lists? The B Complex vitamins, including B6, B9, and B12, can be obtained through less-than-appetizing sources such as liver, kidneys, and clams. You can also get these through tuna, eggs, and dairy products. These B vitamins help you fight inflammation in your body. B2, or riboflavin, can be found in oats, milk, yogurt, and beef. Eating peanuts, beef, chicken, fish, and legumes will give your body niacin. Niacin not only acts as an antioxidant, but it also prevents glaucoma. 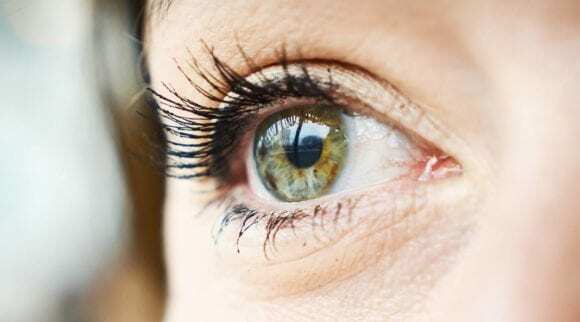 Avoiding sugar and eating foods rich in these vitamins will help you maintain excellent eye health, but it also may give you a higher quality of life.